One of my earliest childhood memories is about sneaking into the kitchen to grab a handful of dough which I thought was way more delicious than bread or pastries. To my mom’s dismay, I also tried to eat worms. I had the perfect explanation: fish eat worms; humans eat fish. I just want to cut a middleman so to speak. Logical, right? Somehow, it didn’t sit well with her. Years passed. 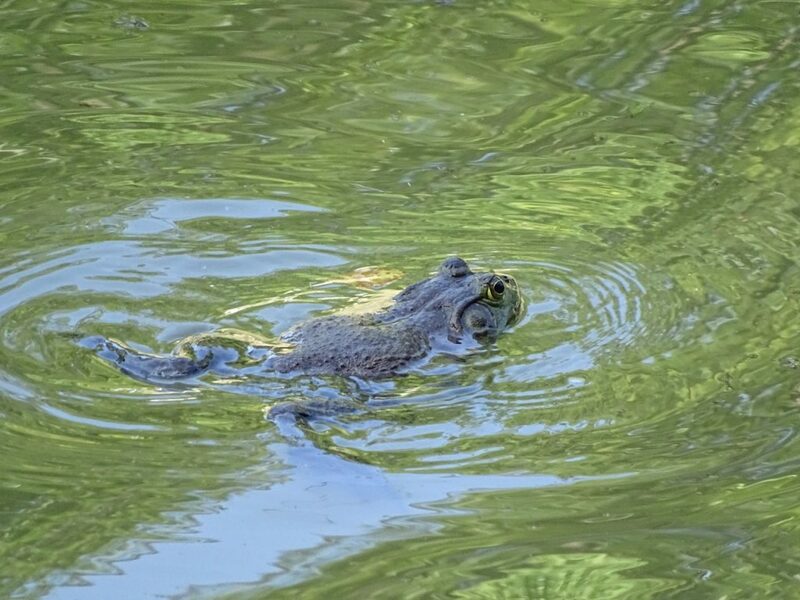 Settling into a 9-to-5 lifestyle was hardly conducive to discovery of any uncommon edibles. Curiosity was put on hold. My newly found full-time traveler career began in Thailand. 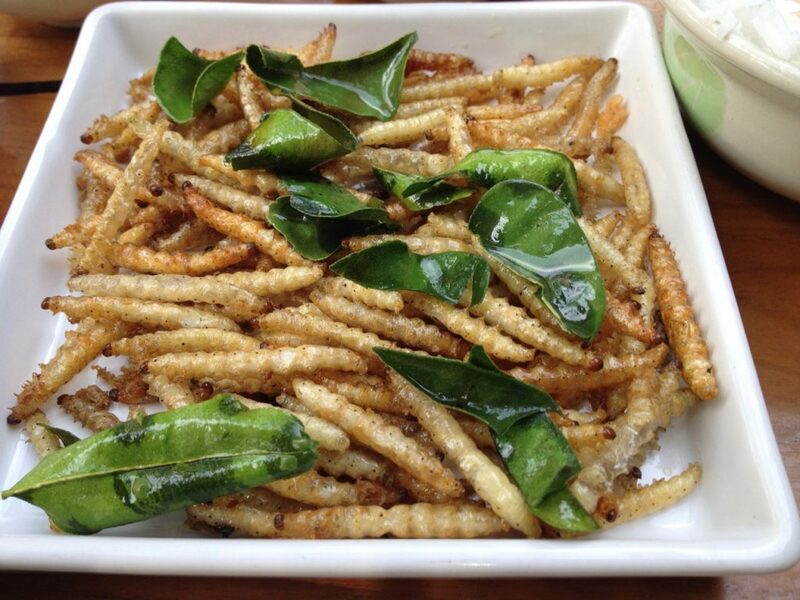 First encounter with local food in Chiang Mai – a plate of fried bamboo worms. To be honest, I was not overly impressed. Worms were a bit chewy and tasteless. However, I was super excited to try something that I never ate before. Five years and counting on the road is enough time to find a niche where one belongs. I am not a food critic and “travel for food” is not my motto. I view local cuisine and eating habits and traditions as an integral part of the cultural experience. It goes without saying, in every new place I eat local food. Sometimes it’s delicious; sometimes it takes courage to take the first bite; sometimes it bite, spew and forget. Ultimately, I figured out that I can try most things once. At the same time, I came up with a list of things that I would never ever eat: dogs; cats, and endangered species. Taiwan has banned the selling and eating of cats and dogs after a series of cruelty cases that caused widespread outrage. Taiwan is the first Asian country to crack down on the practice. Whenever I went, I noticed a curious pattern. En masse, people tend to have unjust prejudices toward unfamiliar food. A “strange” look, an unusual smell, and, voilá, nobody wants to try it. 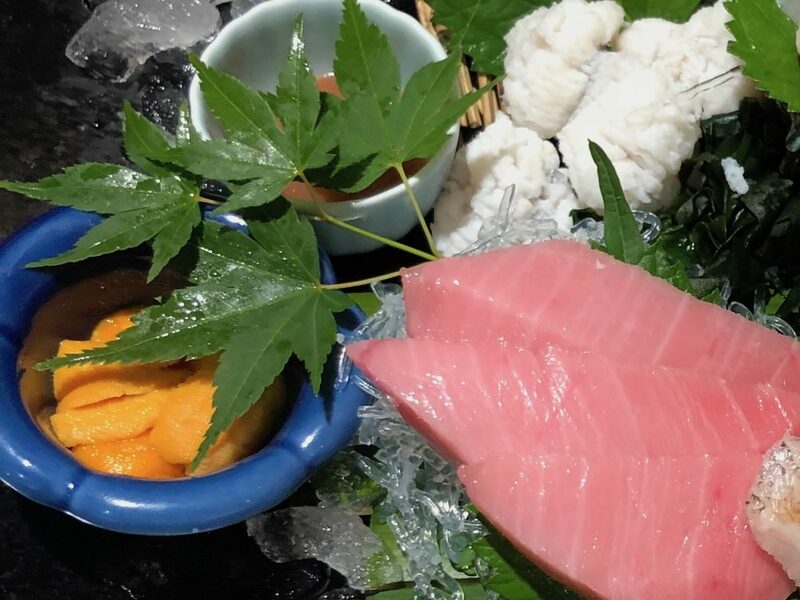 I want to share a few of my favorites that, despite being appreciated by some food connoisseurs, still fly under the radar. 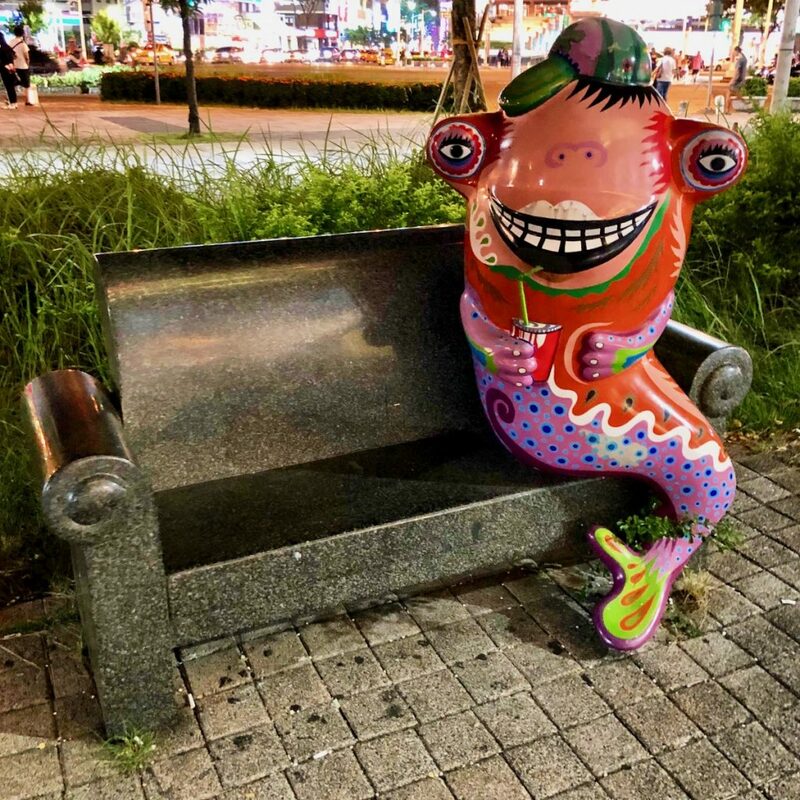 I never tried this creature before I came to Southeast Asia. Visually, it does look like a somewhat overgrown pickled cucumber. They are not too pretty and might even appear unappealing to someone who never saw them before. Forget about the look and do not hesitate to try them. 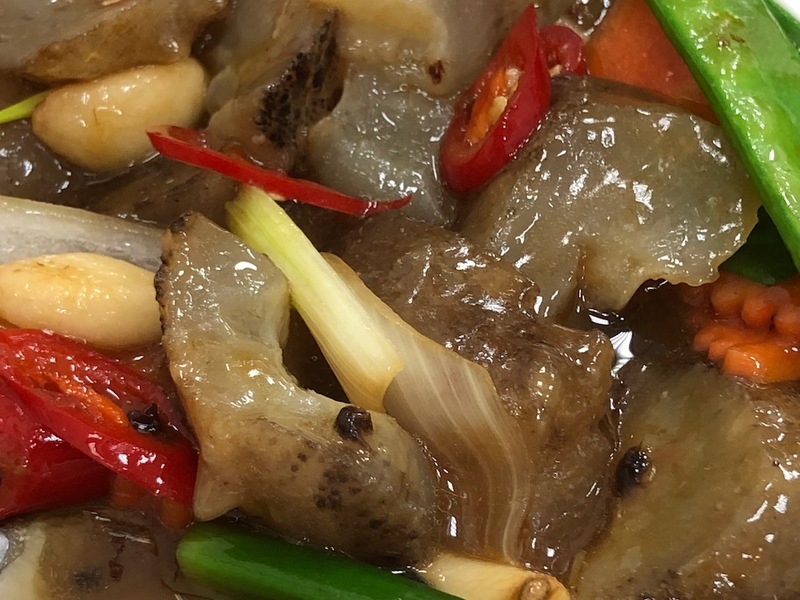 The soft, slightly sweet gelatinous texture is tantalizingly gooey and perfectly compliments accompanying vegetables and mushrooms. 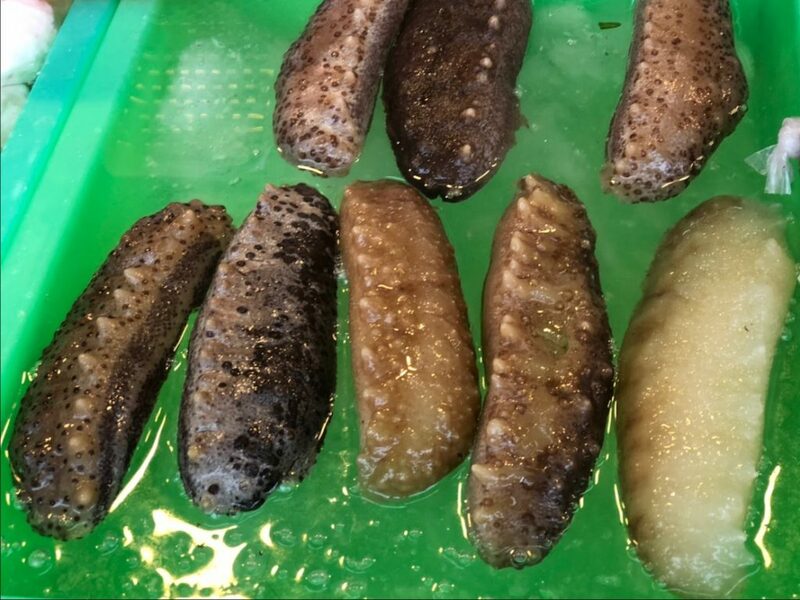 Most cultures in East and Southeast Asia regard sea cucumbers as a delicacy. They are mainly used as an ingredient in Chinese cuisine. It would definitely catch your attention for its intriguing shape. A huge edible saltwater clam, the geoduck is native to the Northwest Coast of the United States and Western Canada. The shell is relatively small, but the disproportionally long siphon (aka neck) makes the clam itself much longer. The siphon alone can be up to 1 meter in length. The geoduck is the largest burrowing clam in the world. It is also one of the longest-living animals of any type with a lifespan of up to 140 years. The oldest recorded geoduck was 168 years old. 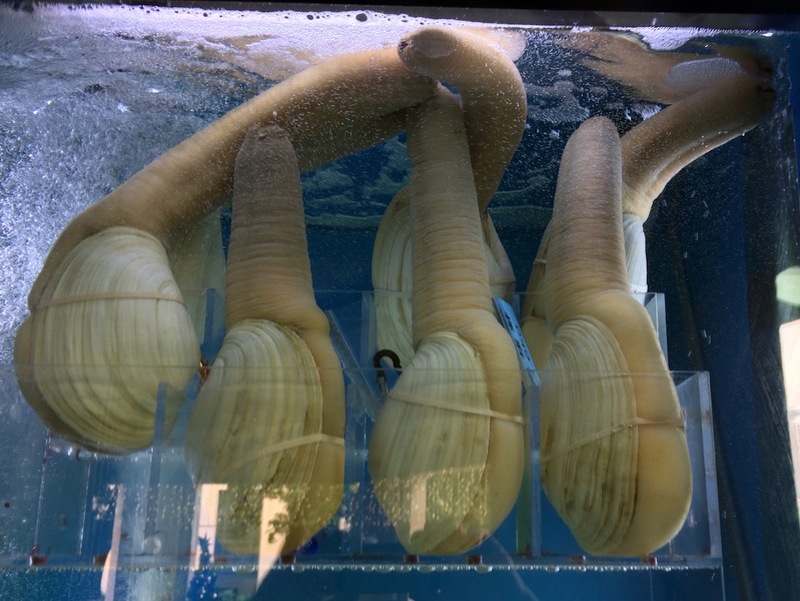 Geoduck is regarded as an aphrodisiac because of its phallic shape. It is considered a delicacy in China where it mostly eaten cooked in a hot pot. In Korea, geoducks are eaten raw or in soups and stews. 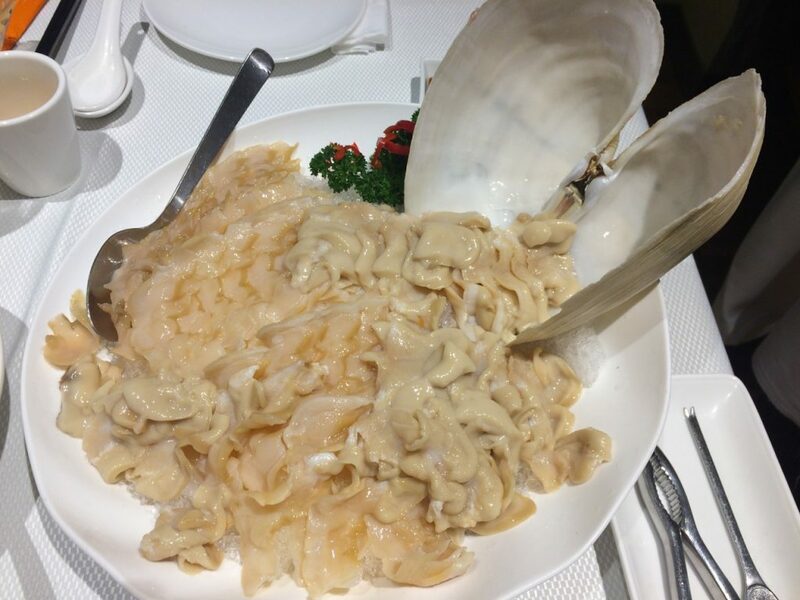 In Japan, geoduck is served as sashimi. Personally, I prefer it raw with a bit of soy sauce. 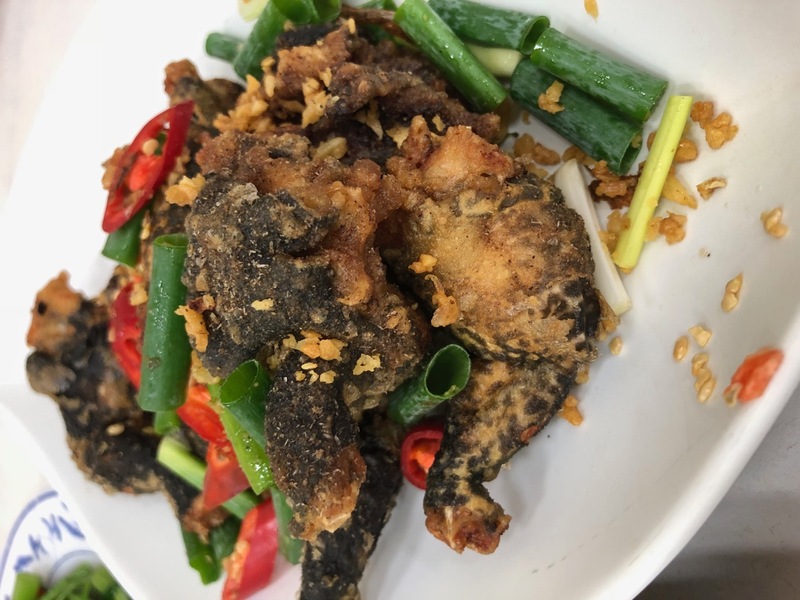 It has a crunchy texture somewhat similar to pickled ginger. These weird looking creatures look prehistoric and alien at the same time. They considered delicacy in Portugal and Spain. Gathering them is a risky business since these crustaceans cling to rocks in places that have a strong crashing surf. The first time I saw them, instantly produced polite “Thanks, I’ll pass on this one” response. 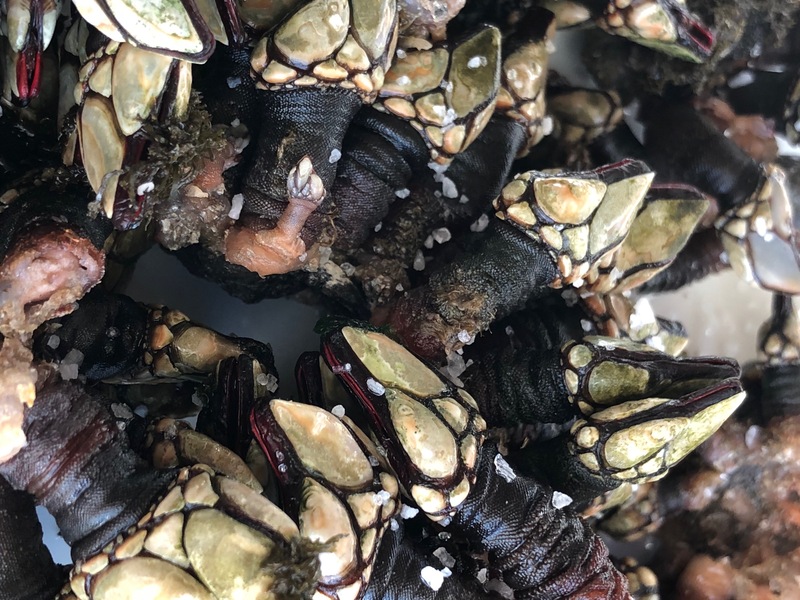 Luckily, they were included on a plate of local seafood I ordered in Cascais. Always game to try everything served, I suspiciously investigated one fine specimen to figure what to do with it. Their flesh, safely hidden inside rubbery neck hence the name, is sweetly fresh and juicy. Once figured out how to deal with them, it is impossible to stop eating them. These futuristic spiky balls live in oceans all over the world. It’s easy to see why they got a nickname porcupines of the sea. 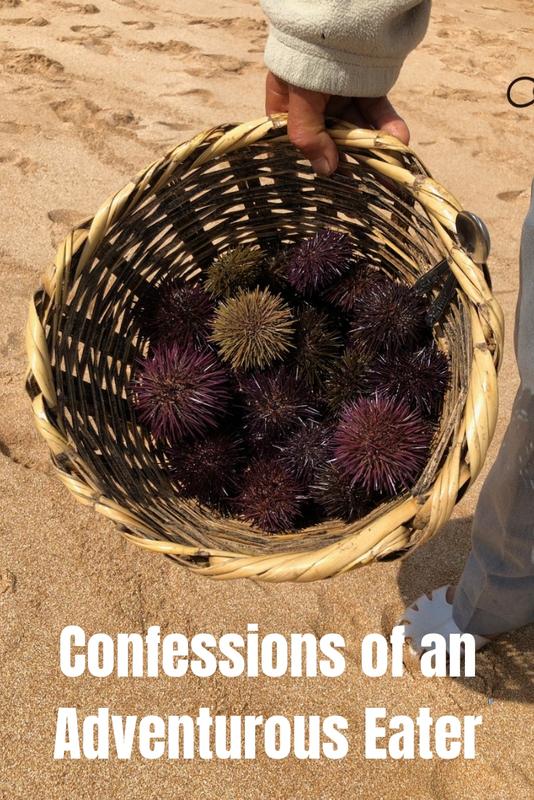 There are nearly two hundred different species of sea urchin in all shapes and sizes. The red sea urchin is the longest living creature in the world, with some living more than 200 years. 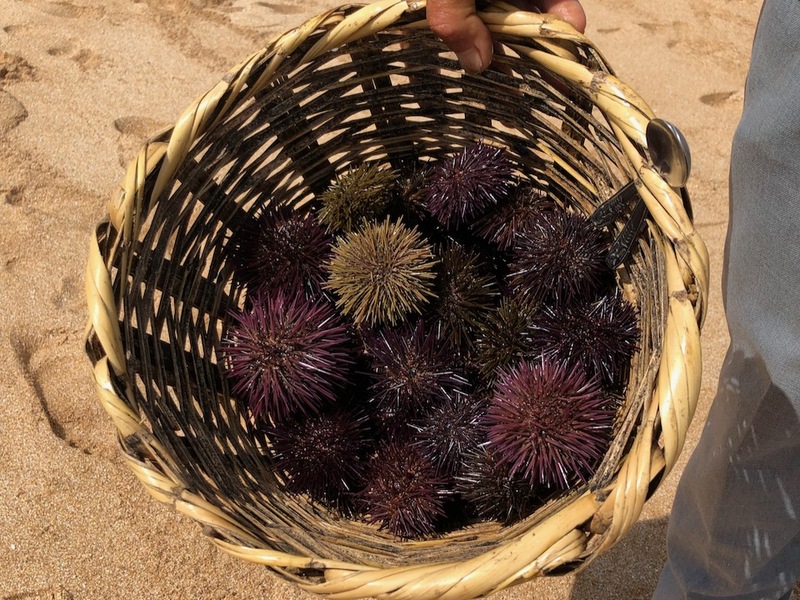 Despite its terrifying appearance, sea urchins have fantastic taste. Imagine butter scooped from the sea – rich creamy texture with a briny ocean taste. Once start eating them, it’s impossible to stop. Shall we call them escargot of the sea? Depending on their size, they served grilled or boiled. Dig out the flesh with a toothpick and enjoy. 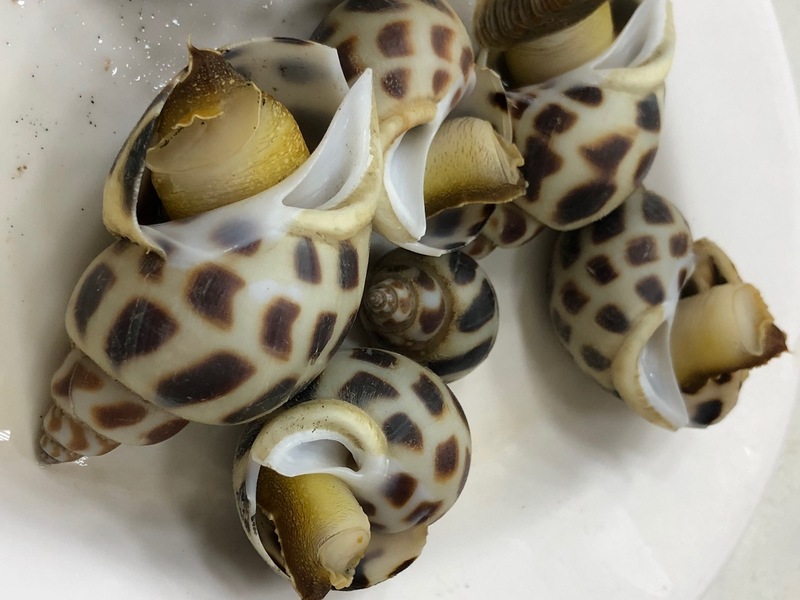 Slightly chewy, sea snail is a tasty snack. 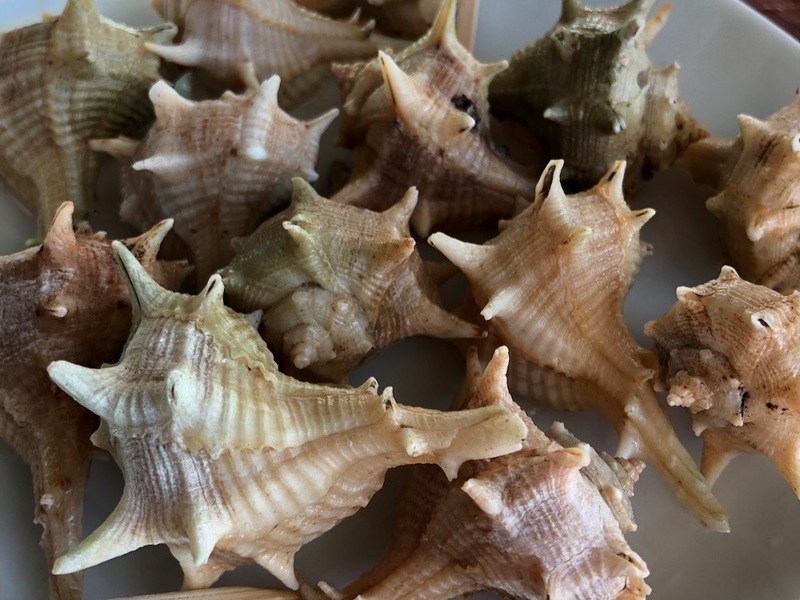 A bit like scallops, a bit of like clams. They served either raw or grilled. They are amazingly tasty. The juicy melting-in-your-mouth meat is hiding under the crunchy skin. The flesh is much softer than chicken and has more silky texture. Delicious! Good for you Elena. I go almost 100% veggie when I hit the road. Not nearly as adventurous as you. LOL on eating dough; me too as a kid. Seemed so perfect, texture-wise, right?